On Wednesday October 7, 2015 Scott Ambler, Senior Consulting Partner at Scott Ambler + Associates, will discuss how an agile enterprise increases value through effective execution and delivery in a timely and reactive manner. Such organizations do this by streamlining the flow of information, ideas, decision making, and work throughout the overall business process all the while improving the quality of the process and business outcomes. This talk describes, step-by-step, how to evolve from today’s vision of agile software development to a truly disciplined agile enterprise. It briefly examines the state of mainstream agile software development and argues for the need for a more disciplined approach to agile delivery that provides a solid foundation from which to scale. It then explores what it means to scale disciplined agile strategies tactically at the project/product level and strategically across your IT organization as a whole. Your disciplined agile IT strategy, along with a lean business strategy, are key enablers of a full-fledged disciplined agile enterprise. The talk ends with advice for how to make this challenging organizational transition. 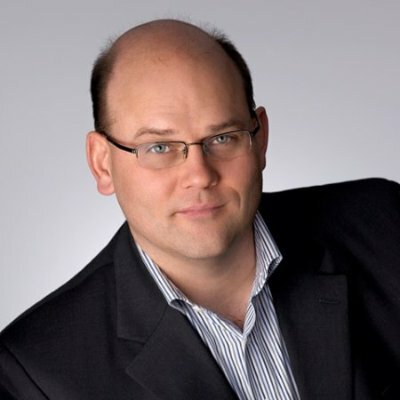 Scott Ambler is the founding member of the Disciplined Agile Consortium (DAC) and works to transform medium and large IT organizations to become more effective by helping them understand and adopt disciplined agile and lean ways of working. Scott regularly speaks at IT conferences, often as a keynote speaker about Lean/Agile Enterprises, Scaling Agile Software Development, and Disciplined Agile Delivery (DAD). Workshops tend to focus on DAD, enterprise architecture, and agile architecture skills. Scott is the founder and practice leader of the Agile Modeling, Agile Data, Disciplined Agile Delivery and Enterprise Unified Process methodologies. Scott is the (co-)author of several books, including Refactoring Databases, Agile Modeling, Agile Database Techniques, The Object Primer 3rd Edition, The Enterprise Unified Process, and The Elements of UML 2.0 Style, and serves as contributing editor with Dr. Dobb's Journal. A complete full list of Scott's publications is available at www.ambysoft.com/books.